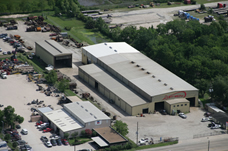 Jett Weld Inc. has been engineering , designing, and manufacturing ASME Section VIII Div.1 Pressure Vessels since 1975 from diameters up to 17 feet and 3 1/2" thick 300 feet long weighing 500,000 pounds for the refinery and petrochemical industry. 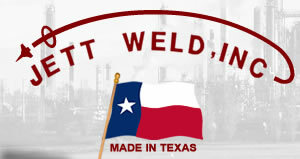 Jett Weld currently holds the "U"," R","NB" and "S" stamps to accommodate our customers project needs. The materials employed are all grades of carbon and stainless steel, cladded material, monel and nickel for virtually any type of vessel. We specialize in the manufacturing of Trayed Towers, Columns, Separators, Demethanizers, Deethanizers,Air Receivers,Strippers, Fractionators, Reactors, Accumulators, Steam Drums, Flare Knockout drums, Scrubbers, Absorbers, Adsorbers, Converters, and D.O.T. Tanks etc. as well as several other types of pressure vessels. Jett Weld can also design when required and fabricate your structural needs such as ladders and platforms that are needed for Vessels, Columns and Towers.